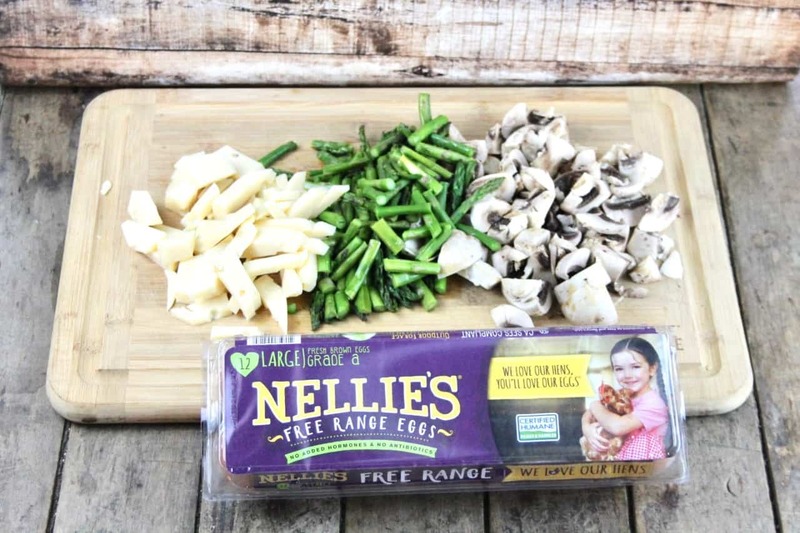 This is a sponsored post on behalf of Nellie’s Free Range. All opinions are my own and yours may vary. I have started a low carbohydrate meal plan this past week and I love to prep as many meals as I can in advance. 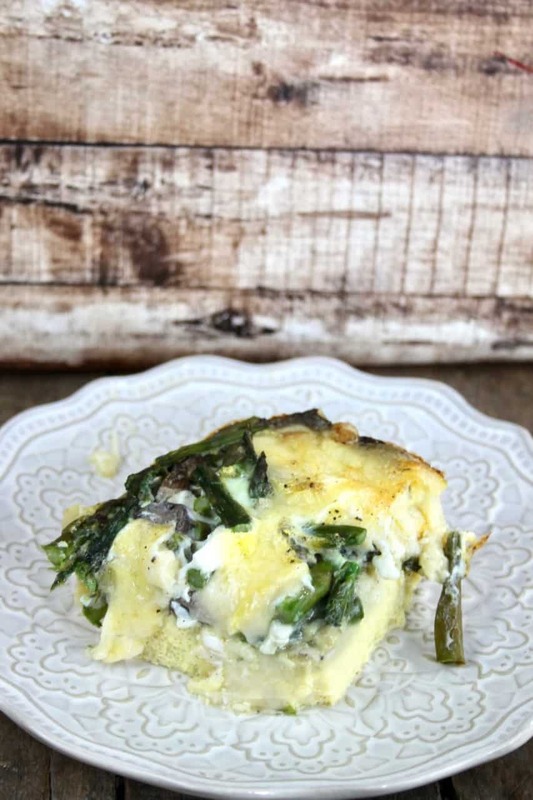 This crust less quiche is the perfect option of a low-carb lunch. Serve with a side salad or a soup for a complete meal. Using Nellie’s Free Range Eggs is are go to. 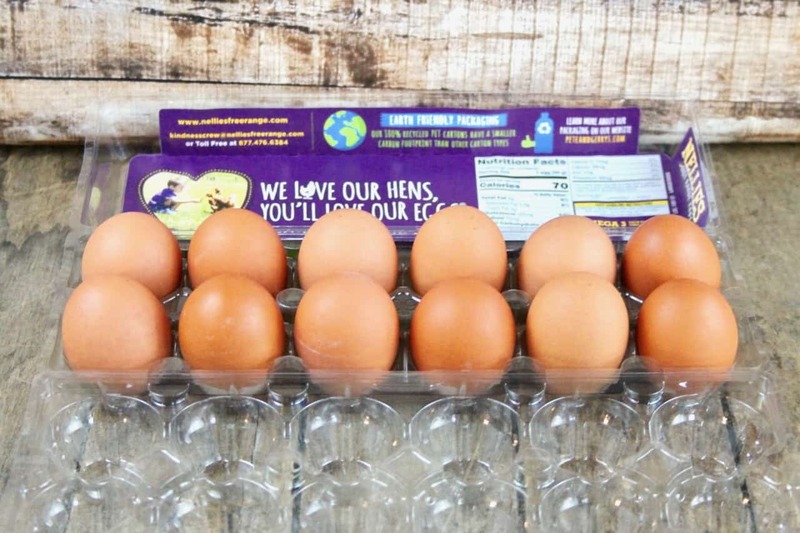 They are Certified Humane, Free Range, B Corp eggs so you can feel good about cooking with them. Preheat oven to 350, spray a 8”x8” square pan with non-stick spray. 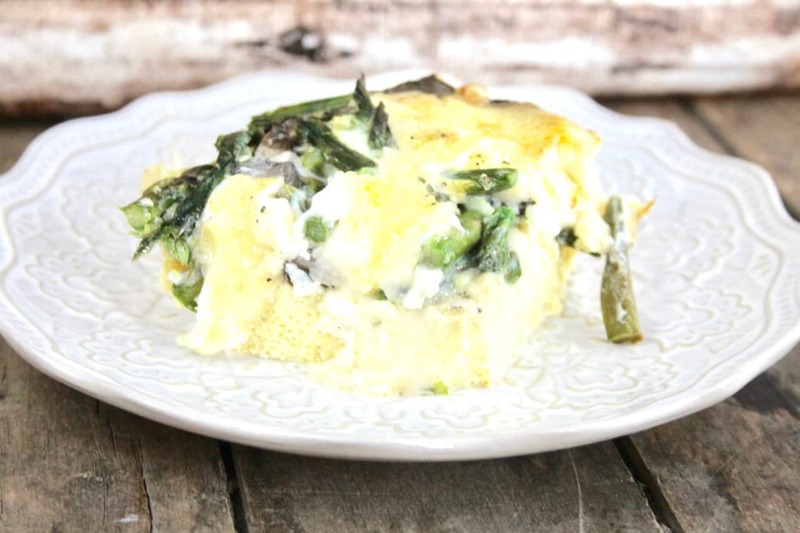 Place all the asparagus, mushrooms, and swiss cheese in the bottom of the dish. Whisk all the eggs in a bowl with salt and pepper and pour over the ingredients in the baking dish. Nellie’s Free Range Eggs is dedicated to the humane treatment of their hens and the farmers that take care of them. They source all of their eggs from a network of over 125 small family farms. I find that good quality eggs really make all the difference in the world when used in recipes. The taste is so much better. This recipe is so easy to make and I love to meal prep one day so that we have enough for 2-3 lunches throughout the week. The perfect way to save time and eat healthy as well. 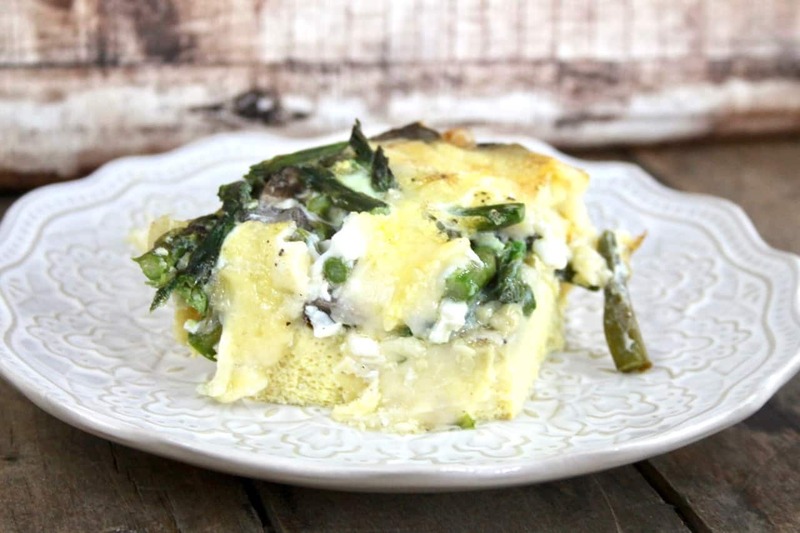 You can easily switch up the veggies and cheese for your own favorite quiche creation. 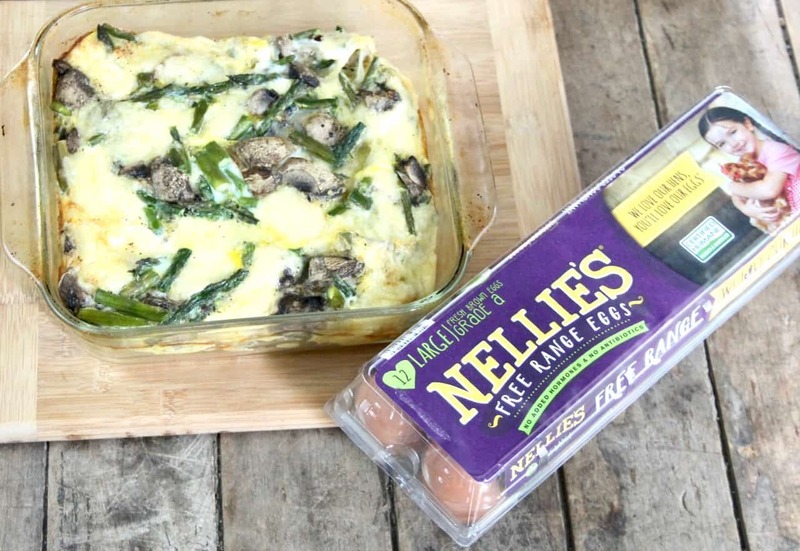 Be sure to look for Nellie’s Free Range Eggs in retailers nationwide. I find ours in Walmart.